Last week, in his weekly top 5 email, Michael Kilkelly of ArchSmarter included a link to a post titled "19 Amazing Vintage Photos That Show How People Worked Before AutoCAD." Here's our favorite from the bunch. The article took me, your faithful editor, back to my own days of manual drafting, most of which were during my service in the Marine Corps as a Construction Drafter from 1984-87. 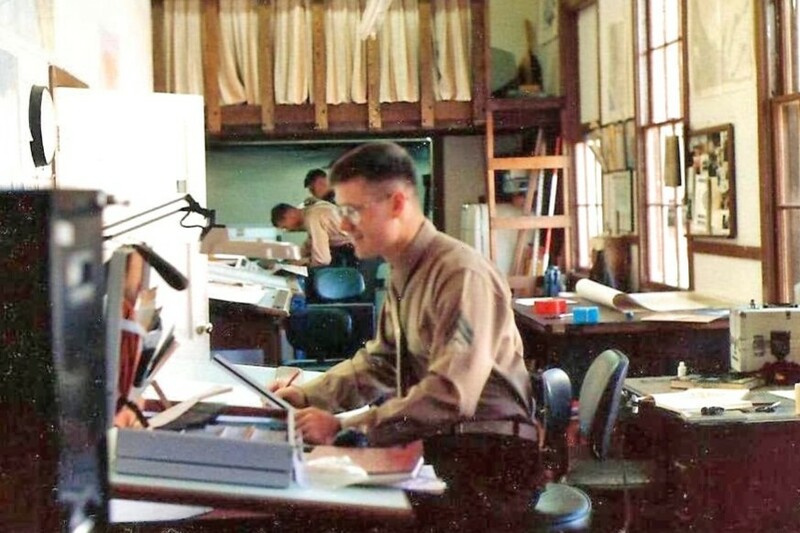 Here's a photo of yours truly at the drafting table, probably from 1986 (it's a little blurry unfortunately). 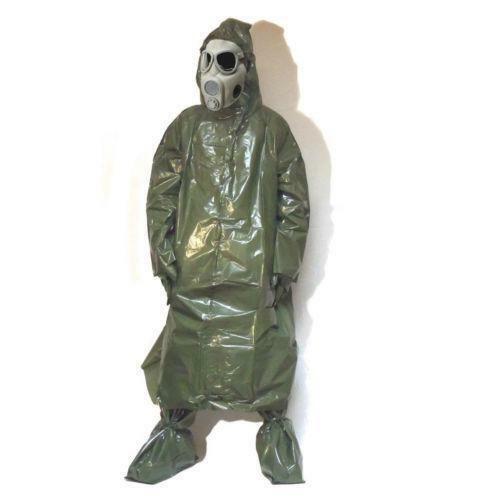 I remember a training day when everyone in our battalion had to perform their regular duties while wearing full nuclear, biological, and chemical (NBC) warfare protection gear (it was during the Cold War after all). The gear was very similar to the following. 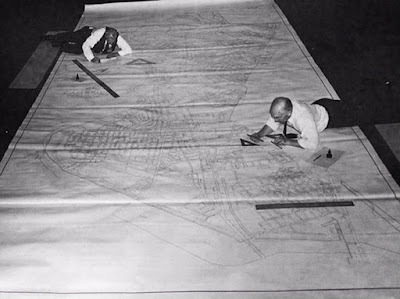 Can you imagine working at a drafting table on a real project in that getup? I don't have to imagine–and it was a bear of a day! To make it worse, it was a warm southern California summer day in an office without air conditioning. I wish I had a photo of it! For the original article featuring more vintage drafting photos, click here.